Founded in 2009, San Francisco Wine Consulting provides tailored services to wine collectors and industry sources, with particular focus on acquisitions and liquidations. For sellers, we offer an alternative to auction houses to achieve price-control and more dynamic transactions via private placement within our deep network of acquiring clients. Leveraging our relationships with passionate and seasoned collectors as well as trusted trade sources, buyers rely on SFWC for access to wines of extraordinary provenance and condition, very often from original owners. Through years of experience serving collectors of all levels, SFWC offers trustworthy, objective advice and seamless execution in all areas of fine wine collecting and cellar management. "Neal has managed my entire collection with a high degree of service, professionalism and expertise. This includes the effective sale of over 2K bottles, focused acquisitions and managing inventory and logistics. 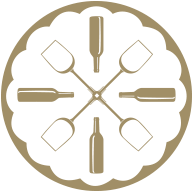 SFWC is an invaluable resource for anyone looking to maximize the enjoyment of their wine collection."